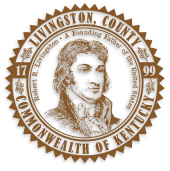 The mission of Livingston County E-911 is to provide timely and efficient response for assistance in case of emergency throughout Livingston County for our citizens and for those that visit our County. To hire and retain highly trained, dedicated and self-motivated telecommunicators. Accomplishing this by partnering with all fire departments, law enforcement and EMS within our jurisdiction to provide rapid response to those who are in need of assistance.